A mother and her son were both found dead in their Carleton home in what is suspected to be a case of carbon monoxide poisoning. Sargent Rob Moody with the Monroe County Sheriff’s Office says deputies did a wellness check at the home of 57-year-old Mark Kiebler and 83-year-old Alice Kiebler located in the 11000 block of South Stoney Creek Road Saturday afternoon. 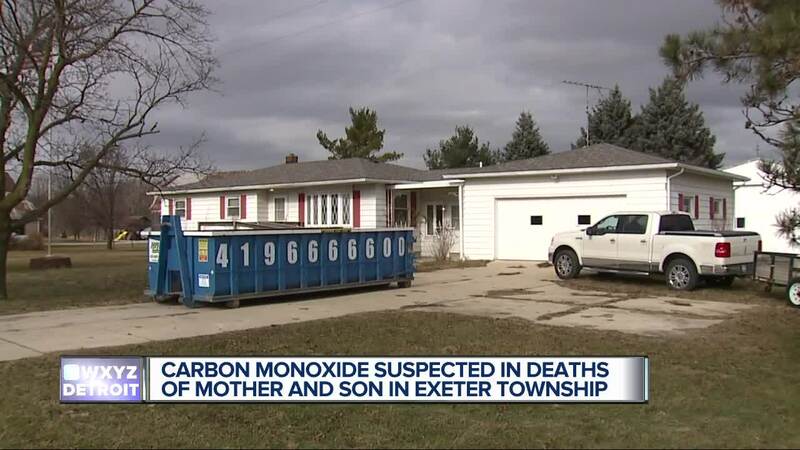 CARLETON, Mich. (WXYZ) — A mother and her son were both found dead in their Carleton home in what is suspected to be a case of carbon monoxide poisoning. Sgt. Rob Moody with the Monroe County Sheriff’s Office says deputies did a wellness check at the home of 57-year-old Mark Kiebler and 83-year-old Alice Kiebler located in the 11000 block of South Stoney Creek Road Saturday afternoon. According to Moody, a friend of Mark Kiebler called to the sheriff’s office to perform a wellness check after he had not seen or heard from him in about a week. When deputies arrived, no one answered the door, so they forced entry only to discover the mother and son dead. “It’s hard trying to figure out exactly what the circumstances are that lead up to the deaths,” Moody said. Investigators suspect the two may have died from carbon monoxide poisoning. “There’s rumors that there was furnace problems at there house, still trying to investigate that right now,” he said. Carbon monoxide is an odorless and colorless odor that can kill you. Fuel burning is what produces carbon monoxide fumes. The CDC recommends people get carbon monoxide detectors in their homes and have a technician check your appliances yearly. It could take several weeks for autopsy results to come back and verify the cause of death.